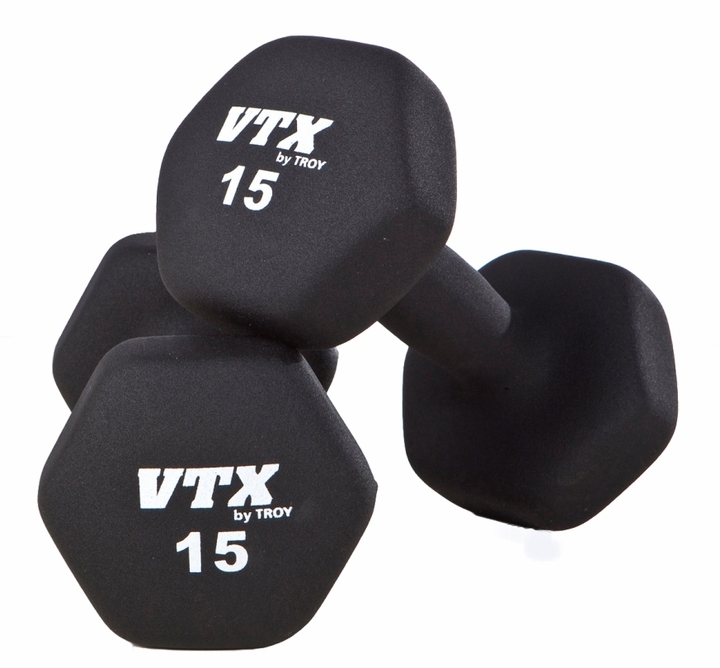 The Troy VTX Hex Neoprene Dumbbells 3-15lb Set GTD-03-15 unique hex head design prevents rolling and is easily stackable. Neoprene coverings are comfortable to use and should not rust, crack or fade under normal. Excellent for commercial or home settings. Available in black only and each size is marked with poundage. Complete your home gym with the Troy VTX Hex Neoprene 3-15lb Set GTD-03-15 Dumbbell Set! This weight set comes with 6 pairs of solid cast iron dumbbells with a comfortable, heavy duty neoprene cover to protect the dumbbell, floors, walls and other equipment. The hexagon designed end pieces keep the dumbbells in place when not in use. Start training with the VTX by Troy Barbell Neoprene 1-10lb. Dumbbell Set! 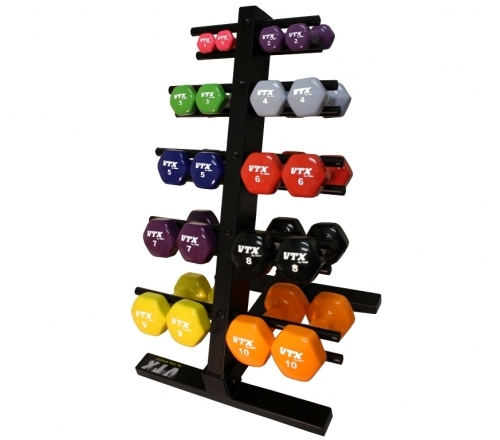 VTX Neoprene Dumbbell Set Comes with 6 Pairs of Dumbbells / Weight: 3-15 lbs. Features Solid Cast Iron Dumbbells with Hexagon Shaped Ends to Prevent Rolling. Includes Durable Neoprene Coating that Will Not Crack, Rust or Fade. Manufacturer's Warranty: 1 Year Breakage / Does Not Cover the Neoprene Casing. Includes a pair each of 3,5,8,10,12 and 15lb Dumbbells. 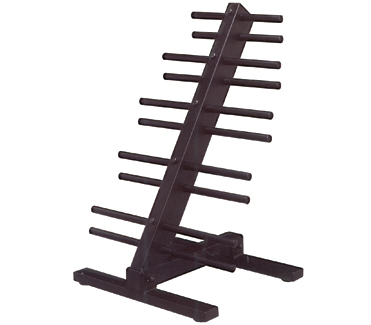 Product Description: This stylish dumbbell rack holds up to 10 pair of vinyl or neoprene dumbbells. The compact design of this dumbbell makes it a space saver requiring only 20” square of floor space. Some assembly required. Manufacturer's Warranty: 1 Year Breakage / Does Not Cover the Neoprene Casing. Order your Troy VTX Hex Neoprene Dunbbells 3-15lb Set GTD-03-15 from FitnessZone.com today!